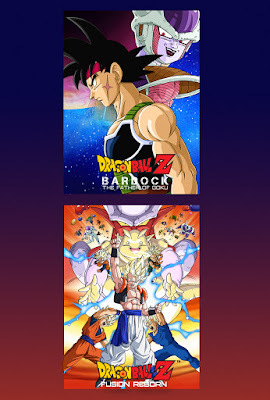 WHAT: Anime fans are in for a treat with the upcoming “Dragon Ball Z Saiyan Double Feature,” containing the U.S. & Canada cinema debuts of “Dragon Ball Z: Bardock – The Father of Goku” and “Dragon Ball Z: Fusion Reborn.” In addition to the fully remastered with English dub anime features, audiences will view special content and receive an exclusive Dragon Ball Super trading card by Bandai (while supplies last, quantities are limited). “Dragon Ball Z: Bardock – The Father of Goku” - When a low-class Saiyan soldier named Bardock unexpectedly inherits the ability to see into the future, his life takes a dramatic turn for the worse! Haunted by visions of his own end as well as the destruction of his entire planet, Bardock sets off on a nightmarish race with fate to advert the impending disaster. But Bardock seems to be stumbling along in a maze of hopeless despair until a vision of his baby son, Kakarot, as a grown man inspires him to make a change and confront his destiny head on! This is the story of Bardock, the father of Goku! “Dragon Ball Z: Fusion Reborn” - An industrial disaster in Other World unleashes the monstrous Janemba, a beast who grows stronger with each passing minute. While Goku and Vegeta fight for Other World’s survival, Goten and Trunks confront a ghoulish army of the undead back on Earth. A dangerous plan of attack is devised, and only an unprecedented act of teamwork can save the universe! WHO: Fathom Events and Toei Animation Inc.
WHERE: Moviegoers throughout the U.S. will be able to enjoy these events in more than 650 select movie theaters. A complete list of U.S. theater locations is available on the Fathom Events website and (theaters locations are subject to change). Tickets for the “Dragon Ball Z Saiyan Double Feature” are available online at www.fathomevents.com and participating box offices. Additionally, in partnership with Fathom Events, Cineplex will present the “Dragon Ball Z Saiyan Double Feature” in Canada at select locations. For more information click here. For Dragon Ball Super trading card images, click here.